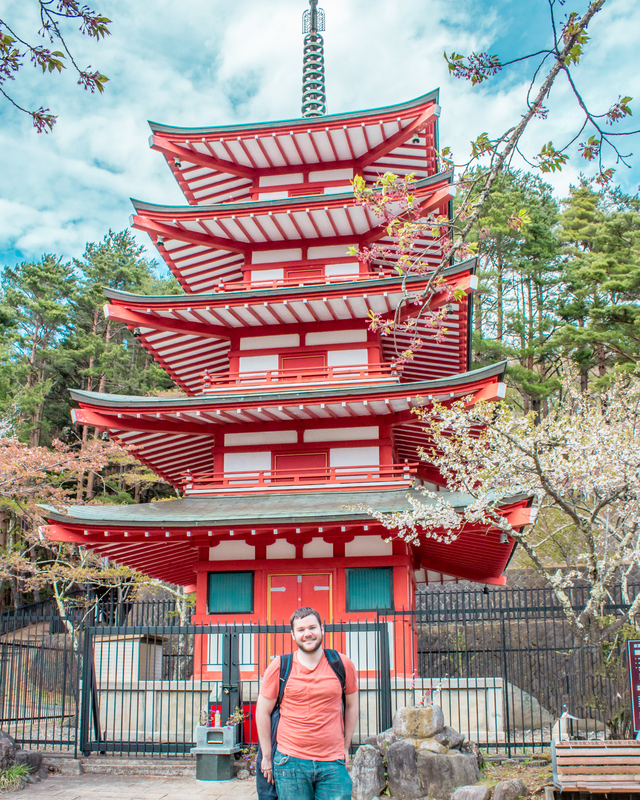 Whilst visiting Tokyo, we did not miss the opportunity to take a day trip to Lake Kawaguchiko and Churieto Pagoda, in order to view the elusive Mount Fuji. This active volcano is also Japan’s highest mountain at 3776 meters. It last erupted in 1707. Lake Kawaguchiko is one of the Fuji Five Lakes – a region at the northern base of Mount Fuji. The other lakes are Saiko, Yamanakako, Shojiko and Motosuko. 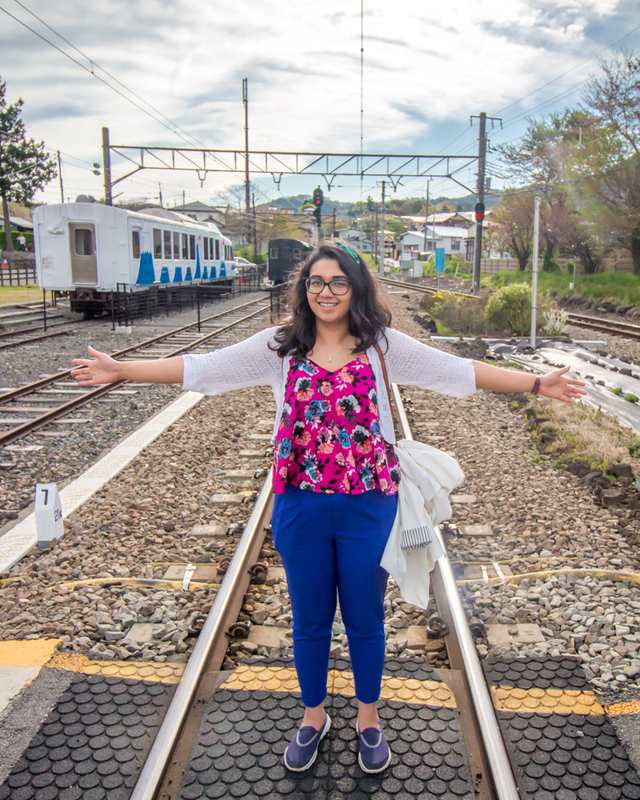 Of these, Lake Kawaguchiko is the easiest to access and has more to do in the area for visitors. The Chureito Pagoda was built in 1963 as a peace memorial, and is part of the Arakura Sengen Shrine. It forms an iconic view alongside Mount Fuji. 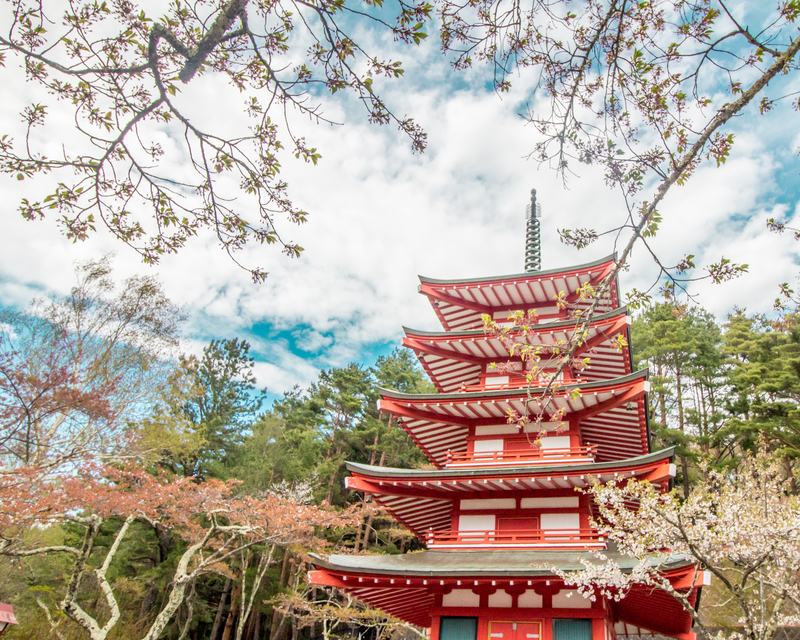 The 5 storied pagoda, is located at the top of 398 steps from the base of the shrine. The viewing platform will give you stunning views of the pagoda, with Mount Fuji in the distance. This view is very popular with photographers and Instagrammers. If you visit during the cherry blossom season, pink sakura trees will fill your view, whereas if you visit during autumn season, the trees will be vibrant in their autumnal colours. We took a highway bus from Shinjuku Station to Kawaguchiko Station. The travel time was around 1 hr 45 mins. Make sure to book your tickets in advance, either online or at Shinjuku Station. Although there are frequent buses daily, they get booked up pretty quickly (keep reading to find out how we found out the hard way!). 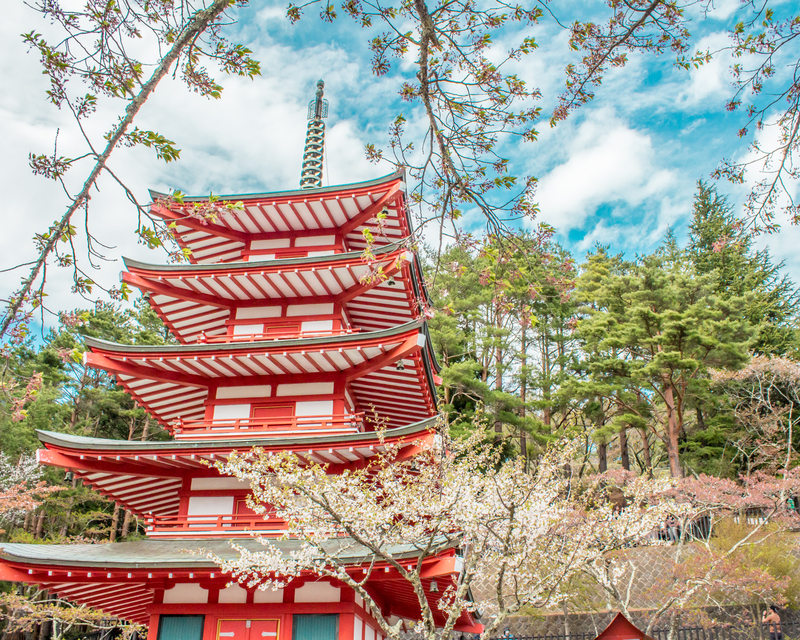 If you’re planning on spending the whole day in Kawaguchiko (which we would advise), you will want to catch an early bus so that you can get there early enough to give you enough time to visit the lake, Chureito pagoda, and any other activities in the area you choose to do. Plan out all the things you want to try to fit in, so that you have a rough idea of when to book the return trip back to Tokyo. You can also catch a bus from Shibuya Station, if you’re staying closer to this area in Tokyo. The highway bus was similar to UK coach standard. The seats were comfortable and the journey smooth, and had toilets on-board. On the way towards Kawaguchiko, you will get views of Mount Fuji on the left side of the bus. 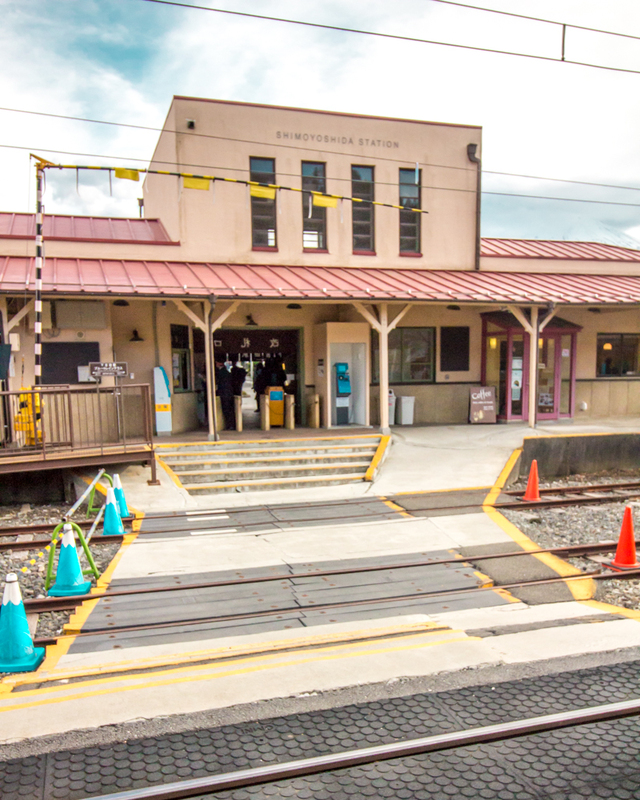 In order to get to Chureito Pagoda from Kawaguchiko, you have to get a train from Kawaguchiko Station (the same station the bus will drop you off at) to Shimoyoshida Station – this is on the Fujikyo Railway and will take around 10 minutes. However, these trains are not very frequent and it’s important to bear this in mind when planning your day. 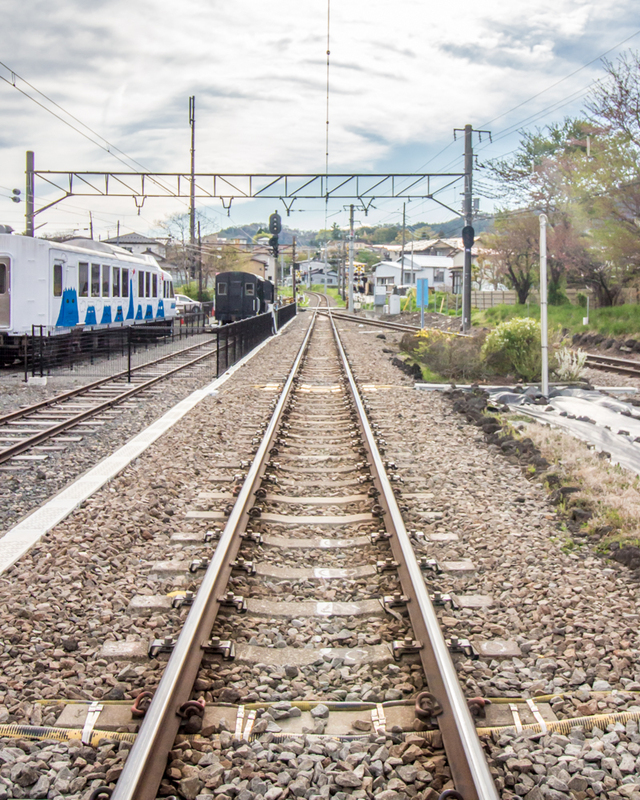 Once you arrive at Shimoyoshida Station, there are well placed signs pointing you in the direction of the Arakura Senken shrine, which is where the pagoda is located. This is another 10 minute walk. You may as well just follow the crowds towards the shrine, as you’re all likely heading to the same place. As the trains to the station for Chureito Pagoda weren’t very frequent, we decided to visit the pagoda first, before going to see Lake Kawaguchiko, to leave us enough time to still make our return bus back to Tokyo! 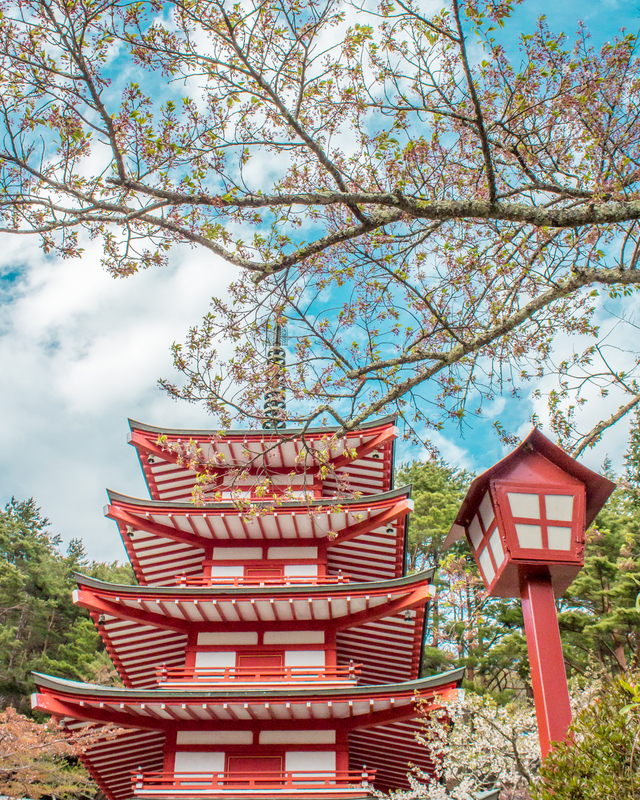 If you decide to see the lake first and then visit the pagoda, depending on how long it takes you to get the train and then spend time at the pagoda, you might have to rush to get your train back to Kawaguchiko, if you’re getting the bus back to Tokyo. When you’re passing through this Torii gate on your way up the stairs, make sure to turn around and catch this amazing view of Mount Fuji being framed by the gate. We’ve heard of people totally missing out on seeing Mount Fuji because it was too cloudy or misty, and the mountain was completely obscured. How lucky were we, to not just see it, but to catch this halo around the mountain! 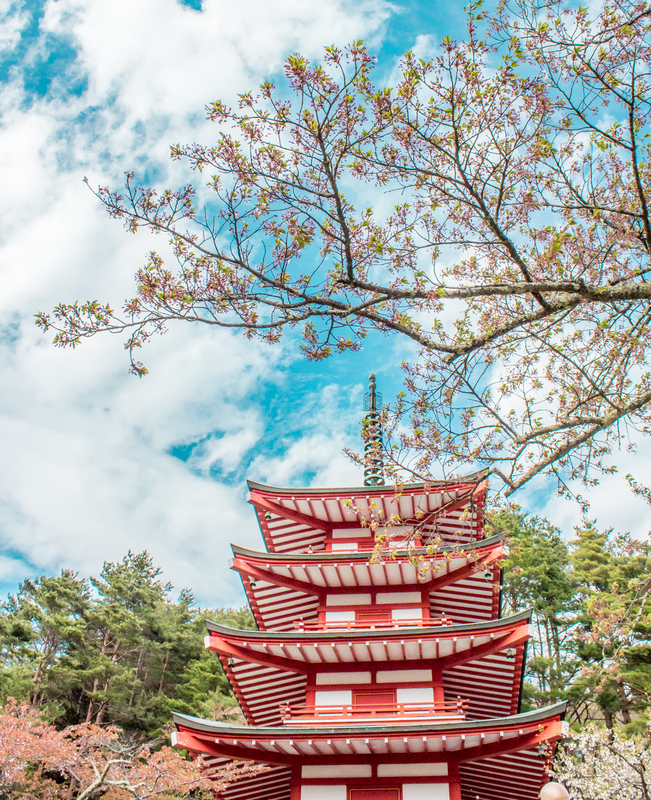 When you reach the landing of the Chureito Pagoda, it truly is a beautiful sight to behold. The viewing platform will, not surprisingly, be full of people trying to get their best shots. This is probably what it will look like – but more crowded. But, there’s no limit on how long you can stay up there, so just wriggle along and to the front to get your best shots and selfies. I got all my shots from the back of the platform, instead of going to the front. On the way back down, you can have some fun trying to take shots of the pagoda from interesting angles (well I did anyway). The best views of Mount Fuji from Lake Kawaguchiko are from the northern shores. Basically, you just keep walking towards the lake from the station, and then follow the lake around until you are able to look back and see Mount Fuji. It’s a bit of a walk, so leave yourselves plenty of time to be able to comfortably walk all the way around the lake (which we didn’t as we had to hurry back to get our return bus), until you can finally see the mountain. We were only able to walk around the lake for half an hour, before we had to turn around and head back, as we were running late to catch our return bus to Tokyo. Therefore, we were unable to make the most of some of the other activities in the area. This includes the Kachi Kachi Ropeway, Kawaguchiko Music Forest, several hot spring baths, and museums. There is also a theme park called Fuji Q Highland, which you will drive past on the way to Kawaguchiko Station. 2. The following day, there was a delay in checking out of our hotel due to a payment error and waiting for the concierge to leave our suitcases. Despite power walking and running up a million stairs and escalators at Shinjuku Station, we ended up missing our bus! Thankfully, we were able to book tickets on a bus 2 hours later. We were also able to change the timings of our return trip for no extra cost (although we had to sit separately, but this was probably a blessing considering the amount of time we spend together! ha! ), so we’d still have a fairly leisurely time to wander the area. 3. The day started out really miserable, rainy and cloudy, that we didn’t think we’d be able to see Mount Fuji at all! Despite all this, we got to Kawaguchiko after all and ended up having a lovely, overcast but bright day – AND the clouds cleared giving us great views of our volcano mountain! Mount fuji looks amazing! Looks like you had a really good time im desperate to see japan!